The use of solar power systems has developed into an appealing choice for homeowners. As well as industrialists taking into consideration the increasing costs of electricity and rising ecological issues. 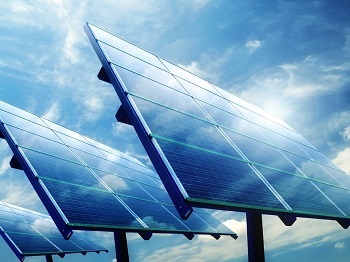 The solar power systems supply energy to homes throughout electricity blackouts. Without paying additional electricity charges. Solar Power Systems succeeds by making use of solar energy as well as sunshine for creating electrical energy. Sunlight or solar energy is one thing which is limitless. Various other types of energy sources can be viewed as ending at some point or another. However solar energy is one thing which will be around permanently. 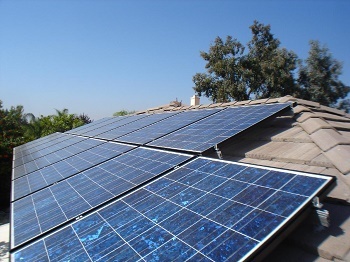 There are various advantages of setting up solar panel systems. Beginning with reduced air pollution and contaminants to decreased electricity prices. Solar power is made by transforming the sun’s rays directly into electricity. It does this by using photovoltaic (PV) or concentrated solar power (CSP). Any time it is in contact with the sun’s rays. An energy current begins to move from the solar panel as a result of the PV effect. The actual solar power created could provide electricity for everything. From hand calculators to electrically powered light sources. From power hoardings to industrial buildings. Simply by incorporating numerous solar cells alongside one another, power corporations produce solar panels. However, when the matching solar panel systems happen to be linked alongside one another and joined with additional elements. These systems form a solar array also known as a solar powered system. There are many benefits of using solar-powered systems. The sun’s rays is really a free and endless supply of clean renewable energy intended for solar powered energy devices. As opposed to the non-renewable technology depending on traditional fossil fuels. 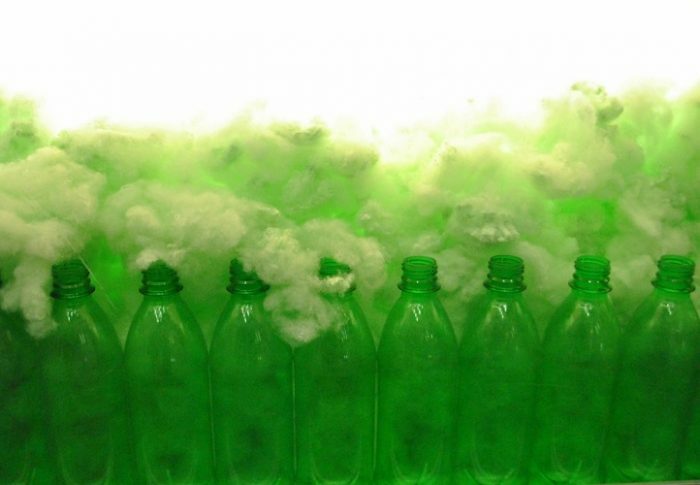 It will not produce greenhouse toxic gases as well as carcinogens into the atmosphere. Defining it as a new non-polluting supply of power. It involves absolutely no extra expense in creating the actual electrical energy. How Long Do Solar Power Systems Last? The sole expense which is received is from the hardware. Which usually, when you purchase the solar power system, can last for around thirty years. It’s possible to benefit from dependable, renewable absolutely free electricity for decades. With very low upkeep expenses provided a routine simple cleaning of your power system is made. Being property owners in challenging financial days. We’re constantly researching ways to spend less on heating and air conditioning while increasing the power efficiency of one’s home. Sometimes even if your property is just a couple yrs old. You will find there’s a fairly good chance that your aerolite within your loft has deteriorated or gone a bit flat and is not doing its job properly. The simplest way to verify that would be to get inside the loft and check. Generally, if the roof insulation fails to cover the actual joists or perhaps is simply not distributed consistently. Then your home is losing warmth via the roof. Isotherm seems to be the more popular choice of insulation between homeowners. South Africa is the third best solar location in the world. These systems are still a bit on the expensive side. On the other hand, they are starting to reduce in price making it more affordable. More and more people in South Africa have started to become more energy conscious. Living off the grid and producing their own electricity. Instead of having to rely on Eskom. This has become a much more attractive option nowadays. Put a stop to fossil fuels being used to generate electricity and stop the Eskom load shedding. The 3 main cities Johannesburg, Cape Town and Durban are beginning to see the potential South Africa has to offer with energy resources. You will find many exceptional advantages of solar power in South Africa. Even during the winter season, every part of the earth’s surface will acquire a reasonable amount of solar emission. Sun energy is everywhere and the beneficial resource is virtually endless. In fact, even during overcast days, we all continue to obtain a lot of the suns energy. Which you can use as a renewable energy source to power up your residential or commercial property. Making use of these systems will require the use of renewable energy sources. Sun energy is completely free. You will find there’s the cost of the initial solar power system. Which is an investment decision for your solar equipment and devices. Following the very first upfront cost, you will no longer receive monthly invoices for the remainder of your lifetime. This is one of the advantages of solar power systems. The actual modern technology regarding solar power has been evolving quite rapidly in recent years. At the moment photovoltaic solar technologies tend to be reasonably high priced. However, the technologies are further improving in addition to the production increase. This could mean a drop in the initial cost of having a solar power system installed in your home. Investment recovery periods towards the solar equipment and devices are becoming much shorter. Payback time frame could possibly be as little as 5 years, to have your solar power system paid off. Solar power is the perfect substitute for non-renewable fuels such as coal as well as petroleum. Due to the fact that solar power is virtually emission free. Despite the fact that it is producing usable energy. Using solar power, the possibility of additional harm to environmental surroundings is actually reduced. Typically the creation of electrical energy by means of solar energy generates absolutely no noise. Therefore environmental noise pollution is additionally decreased. Solar powered energy can easily produce electrical energy regardless of how isolated the location. Provided that direct sunlight is available there. Even in locations which are not reachable by electricity cabling, solar technology can create electrical energy. When a solar power system is established it will last for many years. It starts saving you money from the word go. After they are set up and put in place you will find virtually no continuing expenses from the electrical companies. In the event that your system needs a boost. Additional solar power panels could be added in effortlessly. This can happen with virtually no significant revamp of your existing system. Solar power disadvantages are in fact much less abundant the advantages. In reality, there is merely one distinct disadvantage to solar power that is talked about. Typically the disadvantage would be that the sunshine obviously is not available round the clock. Once the sun sets or perhaps is predominantly shady, photovoltaic solar panels cease generating electrical power. When we require electrical energy during those times, we need to obtain it from another source. To put it differently, all of us couldn’t become one hundred per cent self-sustained by solar panels. At the minimum, we end up needing battery packs. They store electric power generated by solar systems to be used at some point afterwards. The following are some of the issues associated with price, position, dependability. Rendering it extremely hard for you to take advantage of solar power all year round. Your initial expense of buying and installing solar power systems ends up being the initial disadvantage. While new technology arises, the price of solar power systems will greatly reduce. In addition, we will see a boost in the application of solar panels to create off-grid energy in South Africa. The positioning concerning residential solar panels will be of significant relevance in the creation of energy. Locations that stays primarily overcast, as well as foggy, will certainly generate electrical energy. However at a much lower rate. Additional solar panels should be added to produce adequate energy for your residence. Residences that are partially shaded by large trees, shrubs, landscapes as well as other structures are not ideal to install these systems. Given that only some of the energy coming from the sun’s heat is actually taken in through the residential solar panels, the majority of solar systems possess a 40% productivity level. Resulting in 60% of the solar energy getting lost. The latest technology systems have boosted these results. They are currently running at an 80% productivity level. In addition, it has raised the price of residential systems.